Follow the seductive purr of tango and gentle hum of waves and you will find your way to Uruguay, a country that bristles with easygoing rusticism and cosmopolitan allure. With over 3 million residents, Uruguay is the second-smallest nation in South America. Popular attractions include Colonia del Sacramento, Punta del Diablo and the Palacio Salvo in Montevideo. Lose yourself in the gentle, rustic rhythm of South America with cheap flights to Uruguay. Montevideo, the capital city of Uruguay, is home to Carrasco International Airport (MVD), which is a 30-minute drive from the heart of the city. Uruguay is considered the best beach destination in South America. 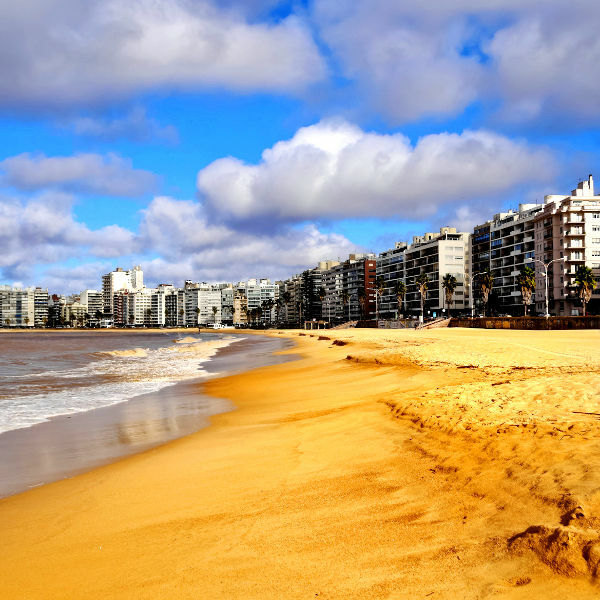 Playa de los Pocitos is iconic, Punta del Diablo offers fantastic surfing and Punta del Este is a party paradise. 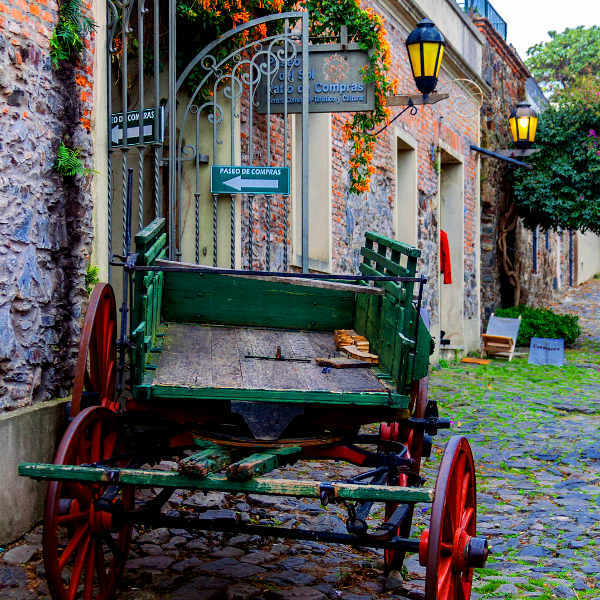 The historic quarter of Colonia del Sacramento is a UNESCO World Heritage Site and picturesque canvas of 18th century architecture and cobbled streets that hum with Portuguese and Spanish soul. Uruguay is the fourth-most important wine producing country in South America. 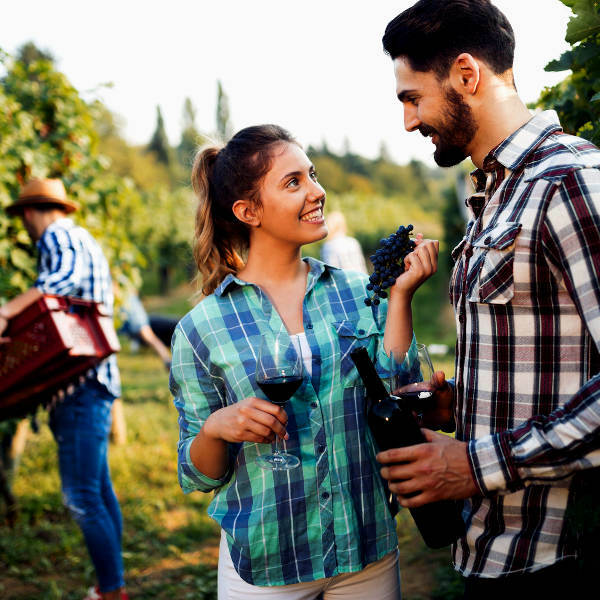 Head to Canelones to experience the robust flavour of Tannat or fall in love with Albariño in Maldonado. Uruguay is a great destination all year round. However, if you are planning a beach holiday or want to experience the electric energy of Carnival, the best time to visit is during summer (December to February). April and May are great months for snorkelling and beach days. Winter (July to Septem-ber) is the best time to visit if you want to immerse yourself in cultural experiences without the crowds. And June to November is the best time to visit for whale watching. Notable events include: Epifanía, Día de la Candelaria, Las Llamadas, Holy Week, Independence Day, Día de los Muertos and Yemanjá Day. For cheap flights to Uruguay, the best time to visit is between March and May. Uruguay offers everything you need for an unforgettable holiday: beautiful beaches, scintillating culture, interesting attractions and amazing wine. It also happens to be one of the most stable countries in South America and the birthplace of tango. Cabo Polonio is a hippie haven with its colourful boho village and remote stretch of beach, while the beaches of José Ignacio and Punta del Este are hubs of glitz, glamour and decadent nightlife. Punta del Diablo is popular amongst surfers. For a taste of Uruguayan culture, head to Tacuarembó for the annual Gaucho Festival or try asado at a traditional estancia. If you are in Uruguay over Christmas, be sure to attend the Cider War Festival and Night of the Lights in Montevideo. Carnival begins in January and lasts for 40 glorious days. The Castillo Pittamiglio, Templo Budista and Castillo de Piria will appeal to architecture lovers, while the hot springs in Salto offer a steaming retreat for those seeking a little rest and relaxation. When the balmy days become sultry nights, duck into a milonga and lose yourself in the seductive embrace of tango. Compare several airlines and book your cheap flights to Uruguay online at Travelstart! Uruguay is one of the safest countries in South America. However, petty crime such as pick-pocketing and muggings does happen, so you should still use common sense and remain alert throughout your trip. Travel insurance to cover theft and medical expenses is recommended. Avoid venturing into poorly-lit or isolated areas at night (particularly if you are alone). The areas along the border with Brazil and certain areas in Montevideo are prone to higher crime rates. Some of these areas include: Casabo, Cerro Norte, Casavalle, Borro, Marconi, 40 Semanas and Hipodromo. Avoid carrying large sums of cash and valuables and park vehicles in well-lit parking lots at night. Proof of yellow fever vaccination is required if you are travelling from an infected country. Uruguay is at risk for Zika virus, chikungunya, dengue fever and other insect-borne diseases, so precautions should be taken to avoid mosquito and other insect bites. Immunisation against hepatitis A & B, typhoid and rabies is recommended. Recommended routine vaccinations include MMR, diphtheria-tetanus-pertussis, meningitis, varicella, polio and influenza.